Micro living in West Ealing: How small is too small? 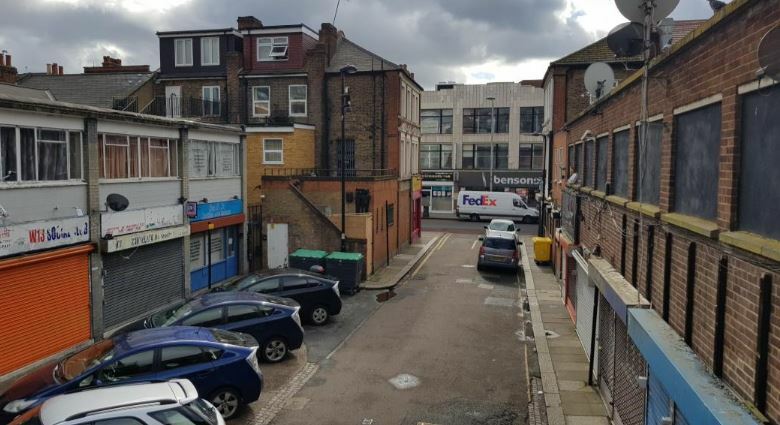 A planning application for the redevelopment of a rundown and disused area of West Ealing has raised concerns due to the size of the proposed properties. Bedsits and studio apartments have always been available in London but with an ever increasing population and continual high demand for affordable housing, the idea of ‘micro’ and shared living is gaining more traction with property experts and councils alike. These tiny apartments, common in many urban centres like Hong Kong, Japan and various parts of Europe, maximize profits for developers and landlords and, in theory, provide lower-priced rental accommodation than might otherwise be available. One recent, (although on a much bigger scale) example of this sort of living can be found not far away in West London in The Collective, Old Oak. Architects, Danks Badnell Ltd, have submitted a planning application to Ealing Council on behalf of developers Binfield Properties for the West Ealing site of Chignell Place, a cul-de-sac just off The Broadway. They propose to demolish the existing disused premises and build a mixed-use development consisting of flats, a cafe and business units up to eight storeys. Included in the new block would be communal areas and facilities including a 24hour concierge, laundry rooms, a lounge, meeting rooms and bike lockers. Controversy has arisen however over the size of these ‘compact living units’ which would be for rent, not sale. At 24sqm they would be much smaller than the usual 36sqm minimum standard for a traditional one bed property. 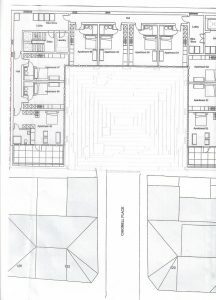 The flats would apparently be ‘high quality units to the same standard as a quality hotel’ and come fully fitted with kitchen, shower, modular sofas, built in furniture, fold-up beds and tables allowing flexible use of the compact space to accommodate guests. Expectations are that young professionals would rent out the units anything from what they describe as ‘short term’ to up to about 3 years before moving on to something larger. The planning proposal is for predominantly one bed apartments which the developers claim will help meet the demand in the ‘build to rent’ sector. Only 2 units of the 63 are two bed apartments. Due to their reduced size the rentals for all units would be ‘below the average local rental values’, although it’s not clear how much this would be as no figure is quoted. 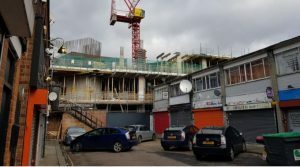 The site is located within the ‘Uxbridge Road/Crossrail Corridor’ which, according to local policy, needs to provide 9,000 extra housing units by 2026. The micro living issue has been raised on the West Ealing Neighbours Blog http://www.westealingneighbours.org.uk/ and a number of objections have already been made on the council’s planning website, most being concerned with the size of the apartments, others expressing fears over how many people could end up actually being housed in them. ‘’ It worries me that West Ealing is going down this path, as rental properties are already quite expensive in the area and there are far too many families living in substandard conditions. I would like to know if these very small flats are intended for single use or if they are being built with an intention to house families. My objection comes because seeing how things are developing in Ealing lately I suspect it will be mostly the latter, and it upsets me to see how the people of Ealing are being driven into this. The deadline for comments is 30 November 2018.